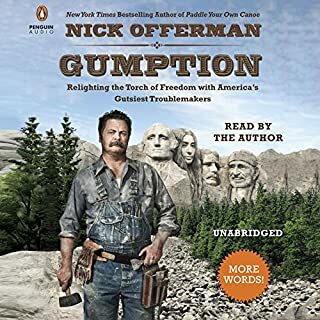 Offerman is a wealth of knowledge and inspiration, part of which comes from his own brain, and part of which has been gleaned from the many heroes with gumption whom he describes with panache in this book. Thanks, Nick. I won't take a picture with you if I ever get a chance to meet you. Each year, the magicians of Imardin gather to purge the city streets of vagrants. They know that no ordinary low-life can oppose them. But their protective shield is not as impenetrable as they think. Somea, angry and outraged by the treatment of her family and friends, throws a stone at the shield, putting all her rage behind it. She is amazed when it sails unrestricted through the barrier and knocks a magician unconscious. Well-written. Edgy. 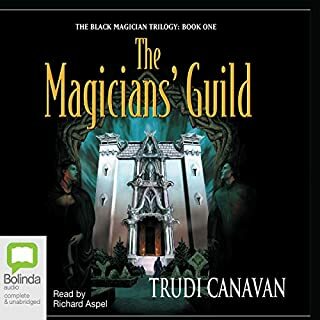 Though it was somewhat predictable, as most books geared towards the younger crowd are, it still kept my attention the whole way through; and I am awaiting the other two in the Trilogy to come out in audio format. While others did not really like the narrator, I thought he was quite good and hope to hear him reading the other books as well. It's a great book overall, safe for the whole family and entertaining throughout. Though it didn't knock my socks off, I am not surprised, as I have only read a few books so far that were worthy of 5 stars, thus the 4 star rating. My first reaction to this book was that I did not like it. The characters were unlovable and hard to get to know, and the narrator's style of reading somewhat annoyed me. But that was only in the beginning. About half an hour into the book I began to love each character's multiple flaws. From one catastrophe to the next, I grew to love everything about the characters and the precarious situations in which they were always a part. The narrator's voice also began to grow on me, as I relized that his voice, tone, and inflection were perfect for the development of the characters. From Ignatius' "Oh my GOD!" to Jones' "Whoa!" to Ignatius' Mother's "He doesn't love me...", this fantastic tragicomedy is sure to get your attention and keep it. Overall, I loved this book. If you aren't thrilled with it in the beginning, don't worry. 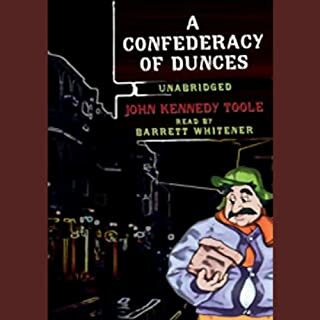 Give it a chance and Mr. Toole's masterpiece will prove itself. I will definitely be listening to this book again and again. This is the enthralling account of a Christian's epic journey. 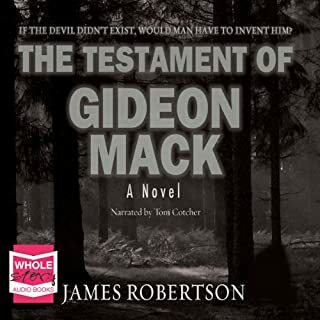 With a burden on his back, Christian reads a book that tells him that the city in which he and his family dwell will be set ablaze. Christian flees from the City of Destruction and journeys through the Slough of Despond, the Interpreter's House, the House Beautiful, the Valley of Humiliation, the Valley of the Shadow of Death, Vanity Fair, Doubting Castle, and the Delectable Mountains, and finally reaches the Celestial City. I had heard of this book through a similar work that CS Lewis had written, The Pilgrim's Regress. 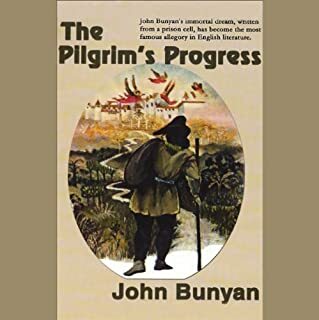 Lewis made note that he followed the same style as Bunyan in The Pilgrim's Progress. I read Lewis' book (paperback version) and liked it; so I decided to give Bunyan's book a try. I am now a fan of Bunyan's writings and plan on purchasing more of his works, both in paperback and audio form. This story "in the similitude of a dream" is filled with so many lessons that I have already listened to it twice and am currently working on my third pass through it, each time with a new blessing, a new lesson. If you are serious about being on the right road to heaven, this is a must have.